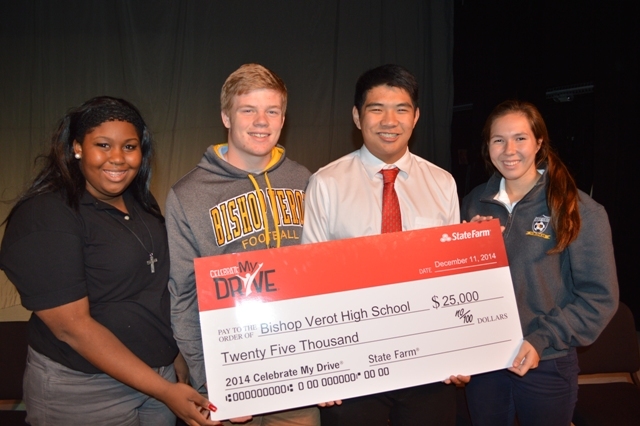 Bishop Verot is pleased to announce that State Farm has awarded us a $25,000 Celebrate My Drive Grant. This grant is the result of the overwhelming response to our request for voting this past October during the Celebrate My Drive Campaign. Thank you to all our students, staff, parents and alumni who participated in the voting, making this grant possible!